Energy drinks have become a popular way for people to get a boost of energy during the day. They are marketed in convenient little packages with a single serving inside so you can take them on the go, making them simple to take whenever you want. 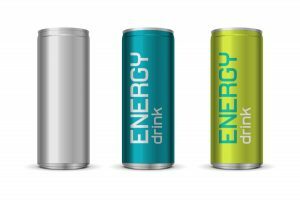 However, the researchers conducting a recent study into the health benefits of energy drinks are urging caution when taking them in light of their results. The results of the study, published in Frontiers in Public Health, found that the risks of adverse health events outweighed the short term benefits of the energy bursts the drinks provide. Some of those adverse health events included mental health problems, increased blood pressure, obesity, tooth erosion, kidney damage, and risk-seeking behavior like violence and antisocial behavior. The researchers also highlighted the worrying trend of mixing energy drinks with alcohol. No specific products were mentioned in the study results. The average energy drink can have up to 100 milligrams of caffeine per ounce, far exceeding the recommended daily limit of 400 milligrams for adults. Coffee has a little over 10 milligrams of caffeine per ounce. The rest of the ingredients, including water, sugar, caffeine, vitamins, and stimulants like guarana and taurine, have a minimal effect on the amount of energy provided by the drink. The energy drinks are basically flavored, concentrated caffeine doses. According to study co-author Josiemer Mattei, an assistant professor of nutrition at the Harvard T.H. Chan School of Public Health, “The excess caffeine may contribute to cardiovascular outcomes, such as increased blood pressure.” There is not much scientific knowledge about the other ingredients used in the drinks, which should be alarming in itself. Since energy drinks are classified as supplements, there is not much oversight of the energy drink industry by the U.S. Food and Drug Administration. The researchers say that more regulatory oversight is needed in the energy drink market. In particular, the researchers are calling for limits on the amount of caffeine that can be in the drinks and stricter regulations on marketing the drinks towards children and teenagers. Today, the energy drink industry is worth nearly $10 billion per year in the United States. While they are often marketed as a healthy way to get an energy boost during the day, the unknown nutritional benefits and high caffeine content are reason enough to be cautious when using them or even avoid them altogether.